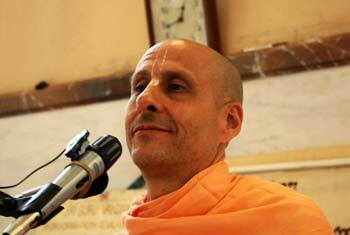 Question to Radhanath Swami: We see that everything gets destroyed in due course of time in this world. Why God had to make the world in this way? Radhanath Swami: You cannot figure that out, nor can I, but the creator himself has revealed that to us through the scriptures. This material existence is not our natural place; it is not the place where the love and happiness that the soul is longing for can be experienced. If the resources and facilities of this material world were everlasting, then we may never make the right decision in life—to enter again into our constitutional, blissful nature. The spirit soul is sac-cid-ananda: it is eternal, it is full of knowledge, and it is full of bliss. That is real life; in that state there is real hope and real ecstasy. And the soul is looking for that ecstasy. Though there may be some temporary pleasure in this world, there is no ecstasy. So we must lose our faith in the hope of happiness in this world in order to actually turn to where real happiness is—in the eternal soul’s relationship with God. 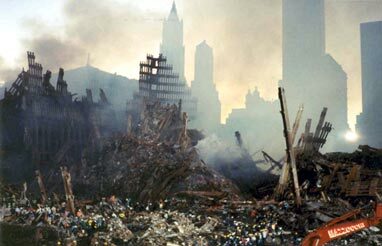 Therefore, to facilitate our loss of hope in the material world, everything is designed to be temporary. However, we shouldn’t neglect the body, nor should we neglect the wonderful gifts of God within this world. At the same time we should understand their temporary nature, understand our eternal nature, and understand the purpose of life—to re-establish our relationship with God. And we could utilize the gifts of the world to serve that purpose. What does it mean—seeing through the eyes of the scriptures? 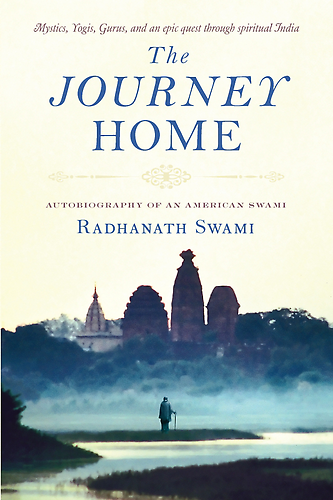 Radhanath Swami clarifies…. To become Krishna’s dog? That’s difficult!